The English crooner exudes confidence on his 'The Thrill of It All' tour. 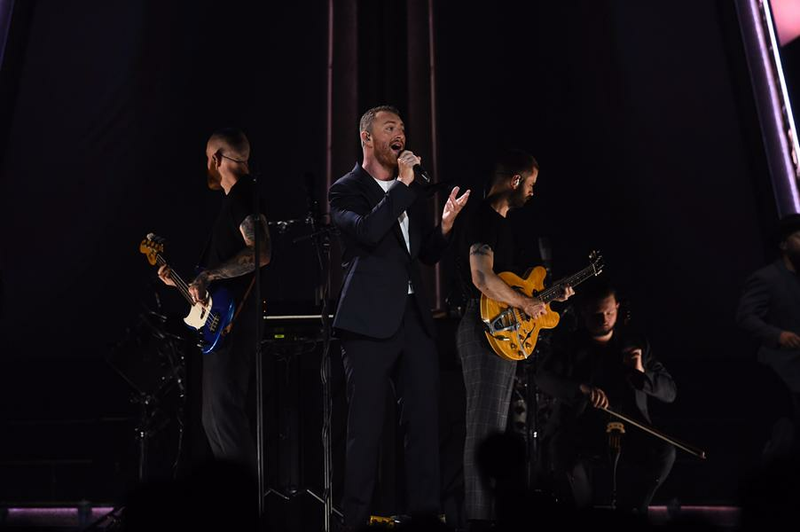 In many ways, the Sam Smith who performed at the Oracle Arena in front of thousands of screaming fans last night is the same singer-songwriter who made his Bay Area debut back in 2014, at the Rickshaw Stop in San Francisco. Granted, the 26-year-old is now a four-time Grammy winner and a Golden Globe and Oscar winner, thanks to his song “Writing’s On the Wall,” the theme song for 2015’s James Bond film Spectre. But besides this impressive list of awards, Smith indeed remains the same guy with the same soulful voice. When Smith was here last, he played a sold-out show at the Fox Theater in Oakland — a legion of faithful fans waited for him on the side entrance of the venue to get a glimpse of him. Back then, he graciously took the time to sign autographs and take pictures with those who waited after the show. This time around, it was logistically impossible to do the same thing. The English singer-songwriter instead took time to address the crowd all throughout the hour-and-45-minute show. What is different about Smith is that he is older, and perhaps wiser. He has mustered confidence, which he exuded on stage. While four years ago he was timid and reserved, the Smith at the Oracle demonstrated the opposite. He paraded through the triangularly shaped stage, with a full band that accompanied him all throughout the show in the middle and a backup singer on each side of the stage. Behind the singer and his band, a large triangle opened up while Smith belted out “Writing's on the Wall,” the song that earned him the Oscar. The night at the Oracle marked stop number 17th on his “The Thrill of It All” tour. The Bay Area holds a special place in the singer’s heart. During his hiatus in between his debut album, In the Lonely Hour, and his sophomore album, Smith frequently visited San Francisco. “The Bay Area is one of my favorite places,” Smith told his screaming fans at the show. While the majority of his lyrics deal with heartbreak and unrequited love, there’s also subtle political messaging. Take the song “HIM,” a “coming out” song to God that grapples with being gay and finding no place in religion: Holy Father, we need to talk / I have a secret that I can’t keep / I’m not the boy that you thought you wanted / Please don’t get angry, have faith in me. “I wrote this song for everyone to know that love is love,” Smith told the crowd as a rainbow flag waved nearby. Smith also reminisced about the song “Lay Me Down,” the first song he co-wrote with James Napier and Elvin Smith. 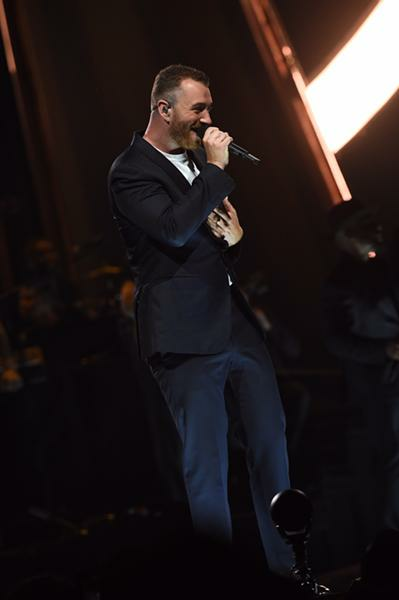 If you’re heading to his show at the SAP Center in San Jose tonight, make sure to stay after he performs “Too Good at Goodbyes,” as you surely do not want to miss his breathtaking encore.